Five years on and the large-scale Millpark residential development on Clondalkin’s Old Nangor Road is almost complete. Developers Town Park Estates began construction at Millpark in 2002. Designed by Dublin architects Fenton-Simons and DBFL Engineers, Millpark is located in the historic village of Clondalkin where local shops retain their heritage with names such as Mill, Tower, Monastery and Village. The estate is built around a large central ‘village green’ area. There are 180 units in total with 16 three-bed houses and four apartment blocks. The rest of the estate is made up of duplex homes. Due to demand and the estate’s popularity, there are only two apartments left for sale. Creating the ‘fire road’ involved digging a very large hole which was then rolled and levelled, the Recyfix Turf-Super was laid, sand and topsoil were added, then it was seeded. The end result looks like a natural grass surface concealing an invisible heavy-duty road and drainage system that is in keeping with the Greater Dublin Regional Code of Practice for Drainage Works. The main road follows right around the back of the houses where it turns into a grass-covered ‘fire road’ designed to take the weight of a fire tender and any other emergency service vehicle. 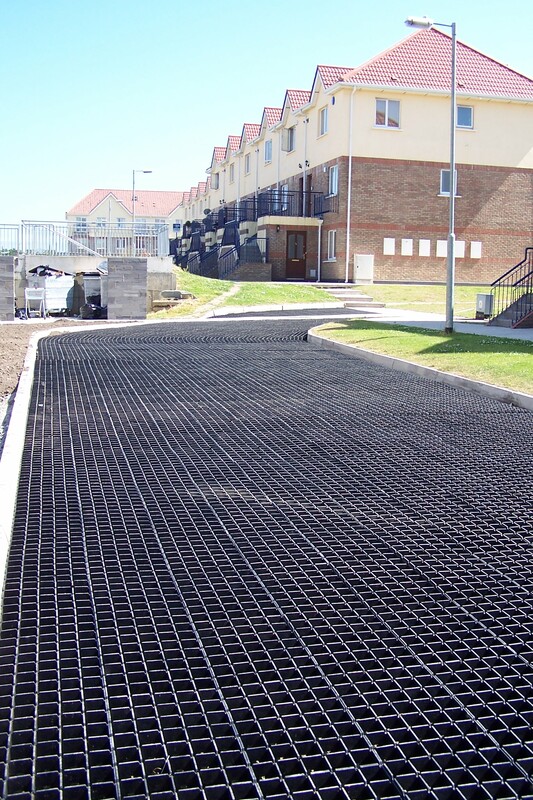 The Recyfix Turf-Super underneath allows emergency services to access the back of the houses directly from the main road without restriction. 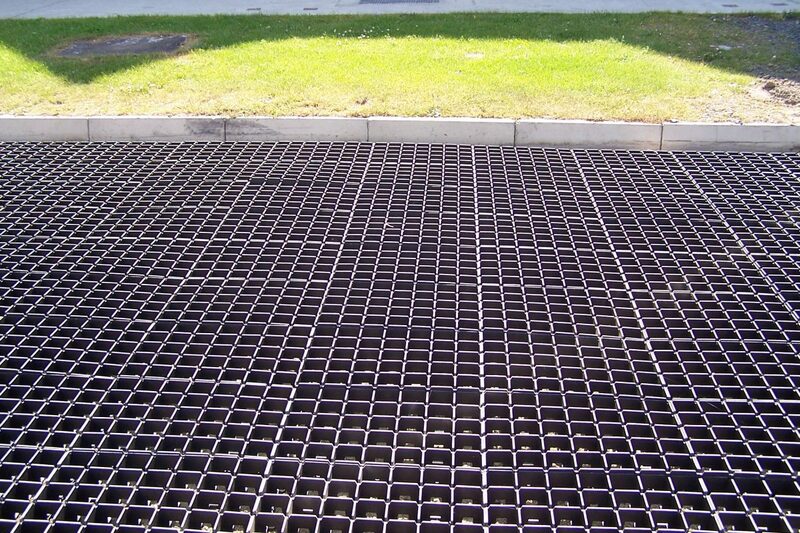 “We were very happy with this product, it’s easily laid, the interlocking makes it easy. We had no problems with it at all,” says Jack. One of the key principles of SuDS design is that developers recreate the natural ‘Greenfield Runoff’ of the undeveloped site. 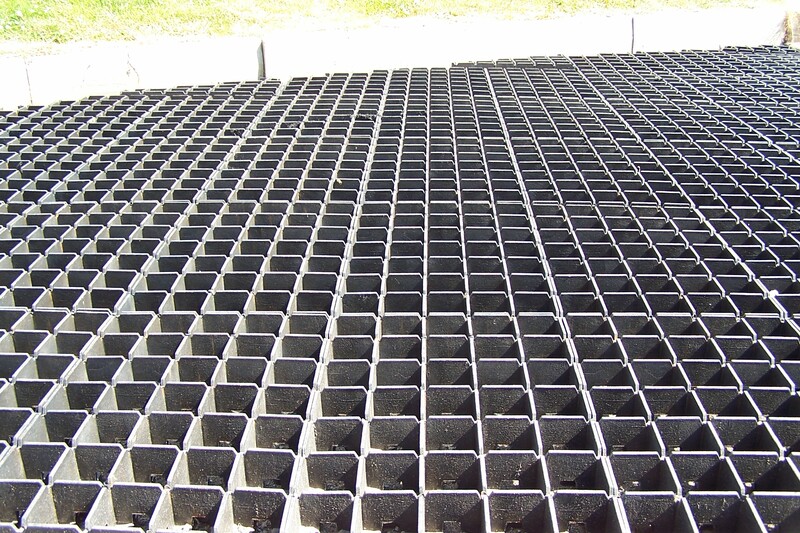 The best way to do this is to minimise the amount of hard surfaces where possible using permeable surfaces. 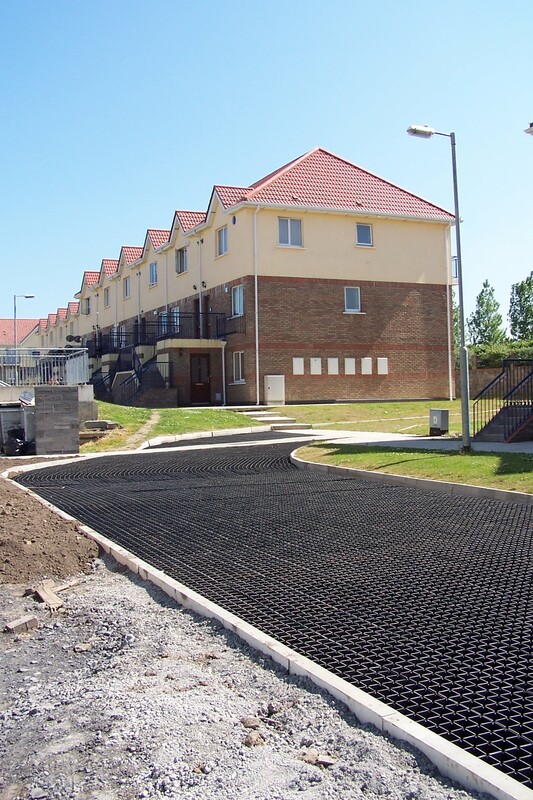 Recyfix Turf-Super is especially suitable as it allows surface water to be absorbed into the ground through a natural filter (soil) which replenishes the natural water table in that area. In a greenfield site, ‘evapotranspiration’ of moisture through the natural vegetation is the primary way rainwater re-enters the natural water cycle. 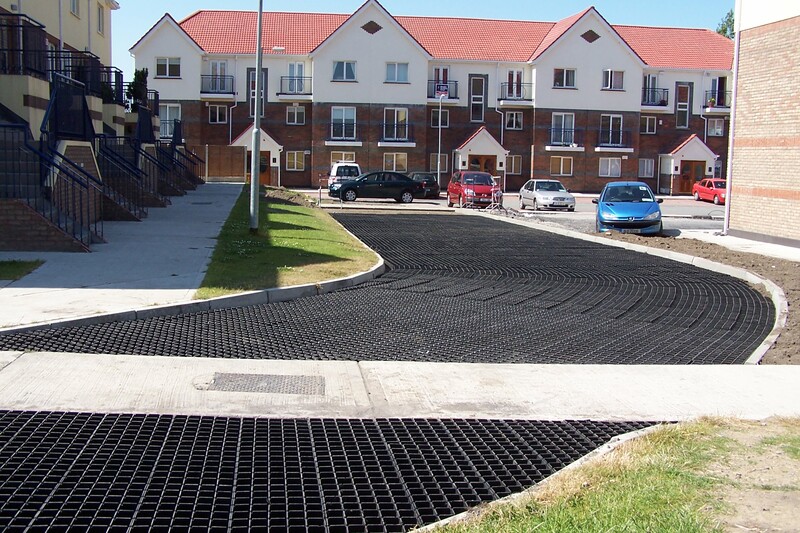 The inclusion of a grassed area using Recyfix Turf-Super facilitates this natural process.